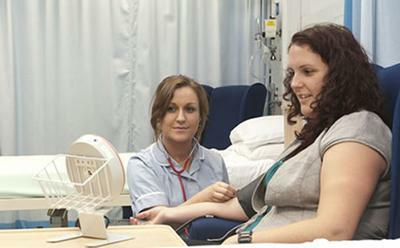 Patient satisfaction is linked with the proportion of non-UK educated nurses providing care in English hospitals, a new Southampton study has shown. Published in BMJ Open, the study shows that for every 10 per cent increase in the number of non-UK education nurses, there was a 12 per cent decrease in the likelihood of patients rating the hospital good or excellent. The authors believe these findings provide important information for workforce planning in NHS hospitals. There has been a long standing UK policy to turn to international nurse recruitment. Recent estimates show that one in 10 nurses in the UK is from another country, yet little is known about how such practices affect quality of care and patient satisfaction. The study, the first of its kind in the UK and a collaboration between the University of Southampton, the University of Pennsylvania and Kings College London, linked the data from 12,000 patients in 31 NHS trusts who completed the 2010 NHS Adult Inpatient Survey with nurse and hospital administrator surveys including the RN4CAST survey. Non-UK educated nurses were self-identified from the survey as having received their basic professional nursing education in the country other than the UK. These countries included the Philippines and India and African and European countries. The proportion of non-UK educated nurses varied by Trust from one to 52 per cent. The study also showed that patients in hospitals with more nurses trained abroad were also less likely to report being treated with respect and dignity, getting easy to understand answers to their questions, and having the purpose of their medications explained. As discussed in the paper, explanations for why worse patient experience is associated with nurses working in countries other than where they trained are not clear. The study was funded by the European Union’s 7th Framework and the US National Institute of Nursing Research, NIH.